The LifeLine Animal Project was established in 2002 by Rebecca Guinn with the mission to end the euthanasia of healthy and treatable dogs and cats in shelters across metro Atlanta. They work towards this mission through several programs and events, and as of 2013, LifeLine is the managing organization of both the Fulton County Animal Services as well as the DeKalb County Services shelter. Back in 2002 the founder of LifeLine, Rebecca Guinn, at the time a litigator, discovered a stray dog. She took this healthy dog to the local shelter there in DeKalb and was struck by how many dogs were there. But when she returned to the shelter a short while later to check on that dog she had dropped off, she was horrified to find the shelter was empty. Almost all the animals had been euthanized in that short period and she decided right then that she had to do something about it. Soon after, she left her job and started this nonprofit. In the beginning, she developed an online database for the animals in the shelters, to create an easier model for adoption here in Atlanta and LifeLine only grew from there. Guinn went on to establish her first shelter in Avondale Estates, DeKalb where she focused on animals in need, such as those who were sick or abused who were the hardest for other shelters to care for and who were the most at risk of being euthanized. Cooper, on a weekend adventure as part of LifeLine’s Weekend Warrior program For all the amazing things she accomplished with this shelter, she realized that the best way that she could end euthanasia in shelters was to get into those shelters. In 2012, LifeLine put in for the contracts to both the Fulton County Animal Services shelter and the Dekalb County Animal Services shelter, and in 2013 they were awarded both of those contracts. Getting both contracts at once was an amazing opportunity to effect change yet at the same time, it was a significant challenge, but one that LifeLine took to with gusto. Since taking over these contracts, they have increased the Lifesaving rates in these shelters dramatically. Prior to their involvement, Fulton county had a Lifesaving rate of 39% and DeKalb County had a Lifesaving rate of 61%. Now they both range from 85% to 89% an increase that is a resounding success for LifeLine, but it is still not enough for LifeLine. LifeLine’s goal is to eliminate euthanasia outside of extreme cases so their work is still very much alive. Now that they are doing all that they can in the shelter, LifeLine’s work has expanded even beyond the shelter. A key element to LifeLine’s mission is to put the pets first, to ensure that these animals are happy and healthy in order to keep them from ever coming to the shelters in the first place. One important way they are accomplishing this is through low-cost veterinary services such as spay and neuter, vaccinations, flea treatment, and more. They have two LifeLine Spay and Neuter Clinics (one in Avondale Estates and one in College Park) at which they offer low-cost and free spaying and neutering to help reduce the amount of homeless animals. Furthermore, they are even in the process of building a community center which will offer not only low-cost or free spaying and neutering services, but even low or zero cost veterinary services to ensure that these animals are given the best care. This center will be open to anyone, regardless of income, as the health of the pets comes first to LifeLine. Additionally, LifeLine has been working closely with Pets for Life, a program initiated by the Humane Society. This program works to provide pet supplies, spay and neuter services, veterinary care, and more door-to-door in areas that are underserved by pet supply stores and veterinary clinics. Currently this program is still in its infancy, and LifeLine is working hard to scale the service and hopes to expand it to ensure every pet in underserved areas can get access to these services. 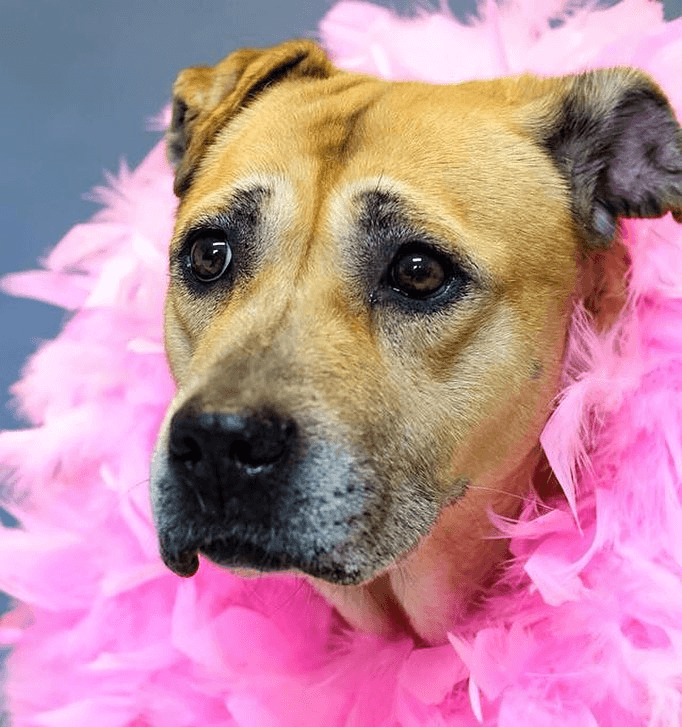 Ginger, one of LifeLine’s many foster dogs Furthermore, through Pets for Life, LifeLine host four big events a year known as their Healthy Pets Events. There are two in Fulton and two in DeKalb, each county has one in the spring (April and May) and one in the fall (October and November). During the Healthy Pets Events they host a four hour clinic during which people can come with their pets and LifeLine offers free vaccinations, free veterinary services, free spay and neuter vouchers, pet supplies, as well as food (for both people and pets alike). These events are open to any and everyone, LifeLine is truly dedicated to helping every pet they can. 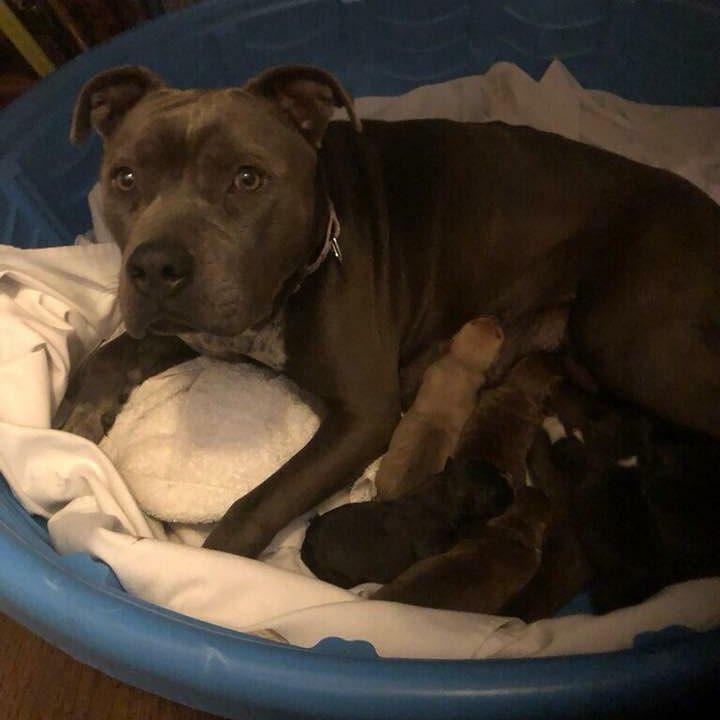 Beyond simply offering their services in order to keep animals out of the shelters, LifeLine works to spread the word about the importance of spaying and neutering pet and to stop backyard breeding. LifeLine is working to advocate without judgment and seeks to advocate for these animals without disparaging those who are dealing with them, instead they want to work with them for the benefit of the animals, to work alongside them for the betterment of these animals’ lives and to move towards the future LifeLine envisions. 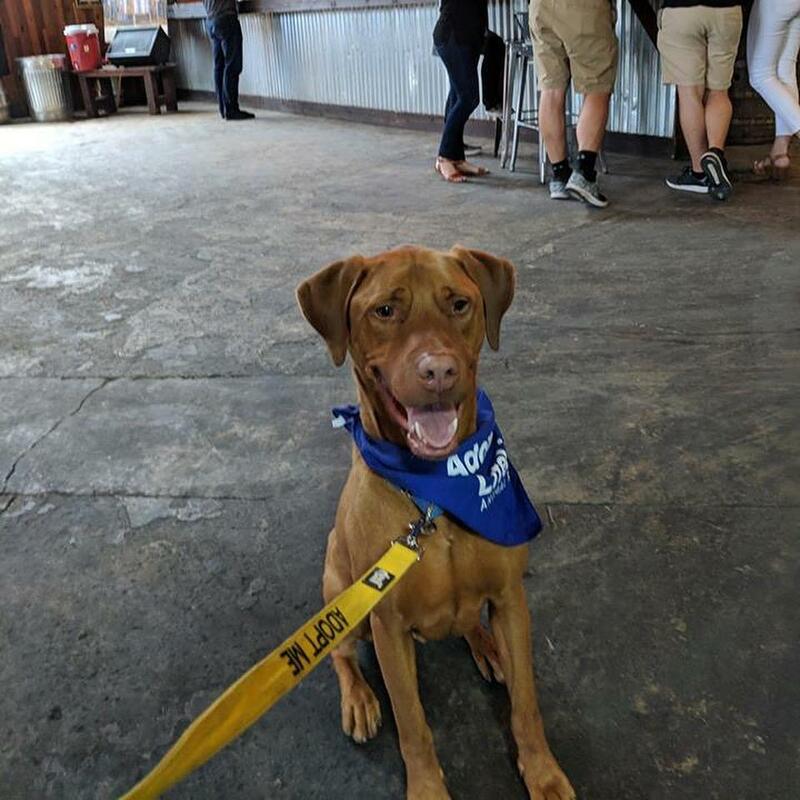 But overall, the biggest way that LifeLine is working to eliminate euthanasia is through their collaborative efforts with their amazing partners such as the Humane Society of Atlanta, Best Friends Animal Society, and more. It is with their support that LifeLine has made, and continues to make, such incredible strides towards their goal of eliminating euthanasia in Atlanta’s shelters. One such partner that is incredibly important is the Rescue Dog Olympics. LifeLine’s goals run parallel to the Rescue Dog Olympics, as everything that LifeLine does is for the benefit of these pets. But even more important is that the Rescue Dog Olympics provide an amazing avenue through which LifeLine can spread the word, advocate for their mission, and to make inroads with the community. It is this deep connection with the community that serves as LifeLine’s lifeblood, their established network of rescue partners who are there for LifeLine during the massive influx of dogs, cats, or more due to hoarding cases, and other extreme events that grants them the power to have improved the lifesaving rate in Atlanta and that will continue to support them on their mission. This year’s Rescue Dog Olympics is going to be on Sunday, March 10, 2019, and will be held in Piedmont Park, Atlanta, so pre register and drop on by! LifeLine relies on its volunteers, donors, and of course those who adopt. Visit the LifeLine Animal Project website for information on how to donate, volunteer, adopt, and more to help out or find your new best friend.